As part of the schools Careers programme, The Leeds Apprenticeship Hub (Leeds City Council), were invited to deliver two sessions to further raise awareness of apprenticeships across Key stage 4. These sessions would build upon some of the work that had already taken place this year within National Careers week. 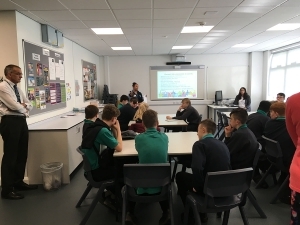 The first session was delivered to all Year 10 students, with the aim of providing general information on apprenticeships, explaining what they are, the different job areas, levels, wages, length and what skills students need to succeed in securing one. The second session was focused on Year 11 and included general information on apprenticeships but focused on showing students how to register on the website, searching the website and completing an application online. The sessions were a 50-50 split of presentation and practical application using chrome books for students to search. Prior to the sessions, a number of students in Year 11 had already begun working with Raj Gill (Careers Adviser) to create a working email and a CV which would support them in registering online and with making applications. Student Feedback was taken at the end of both sessions and was very positive. 100% of Year 10 & Year 11 students said the session had raised their awareness of apprenticeships. 90% of students could name the National Apprenticeship website which they could use to apply to Apprenticeships. 70% of Year 10 students said they would consider an apprenticeship after Year 11. 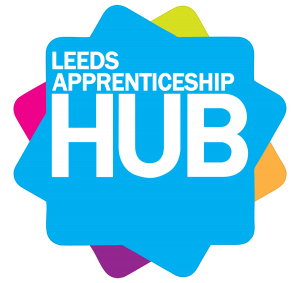 The sessions were well received by students and The Leeds Apprenticeship Hub will be invited again to deliver sessions next year as part of the school’s Careers Programme.